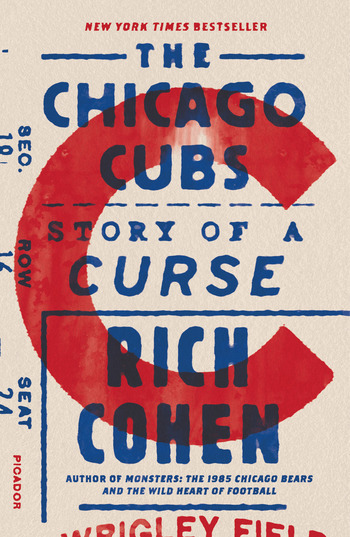 Rich Cohen is the author of the New York Times bestsellers Tough Jews; The Avengers; Monsters; Sweet and Low; When I Stop Talking, You’ll Know I’m Dead (with Jerry Weintraub); and The Sun & the Moon & the Rolling Stones. He is a cocreator of the HBO series Vinyl and a contributing editor at Vanity Fair and Rolling Stone and has written for The New Yorker, The Atlantic, and Harper’s Magazine, among other publications. Cohen has won the Great Lakes Book Award, the Chicago Public Library’s 21st Century Award, and the ASCAP Deems Taylor Award for outstanding coverage of music. His stories have been included in The Best American Essays and The Best American Travel Writing. He lives in Connecticut.